Moving to a new city or country requires you to transport your belongings, including furniture, clothing, and even vehicle. Driving the vehicle long distance can be tiring, which is why most people choose to ship it to the destination. You need to know the estimated shipping cost for your motorcycle or car, and also manage the paperwork. 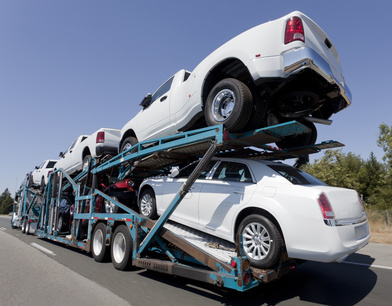 Shipping a vehicle also requires shipping companies to comply with several rules and regulations framed by the Federal Government to ensure your vehicle comfortably reaches the destination. Before you complete the transportation formalities to ship your motorcycle or car, make sure you know the three major transport regulations. To help, we elaborate the three important regulations in the blog post. According to the federal law, the drivers can only carry a defined weight per trip. The permissible weight limit depends on the number of axles in the transporting vessel. The total weight of the cargo is determined by summing the estimated weights of each vehicle to be loaded on the truck. The weight of the vehicles is calculated based on the weight of the make and model of the vehicle when it leaves the factory. An extra 100 lbs is added to the estimated weight. This means your vehicle is not weighed before it is loaded. Drivers are required to weigh their trucks at certain weigh stations to ensure they are complying with the law. They are fined if found violating the law, carrying more weight than permissible limit. These fines are then passed onto you. Federal law also puts a restriction on the height of the vehicle. The standard carriers can carry vehicles up to 7 feet high. If the vehicle is taller than the permissible limit, you’ll need to transport it on a special type of carrier. Though you don’t have to worry about the limitation for you are shipping motorcycle, which is hardly over 3 feet high. Most shipping companies promise delivery of the cargo much quicker than they can actually fulfil, as federal law allows drivers to only drive for certain hours everyday. The limitation automatically puts a brake on fast delivery promises and increases the time required to deliver your vehicle. If you are shipping your motorcycle from coast to coast, do not anticipate delivery in 3 or 4 days. It usually takes 7 to 10 days for coast to coast transport. Knowing about these regulations can safeguard you against unscrupulous shipping companies. Also, it will help you get a fair estimate of motorcycle shipping cost, as false promises also means false delivery cost. If you are searching for a shipping company to transport your belonging within the states or overseas, look no further than EasyHaul. We are a one-stop shop for vehicle shipping. Whether you bought the motorcycle at auction or want to ship the one you own, we will take care of all your shipping needs. Get a shipping quote for an estimated delivery cost of your vehicle. To learn more, fill out our contact form or simply call +1 (360) 597-9320.